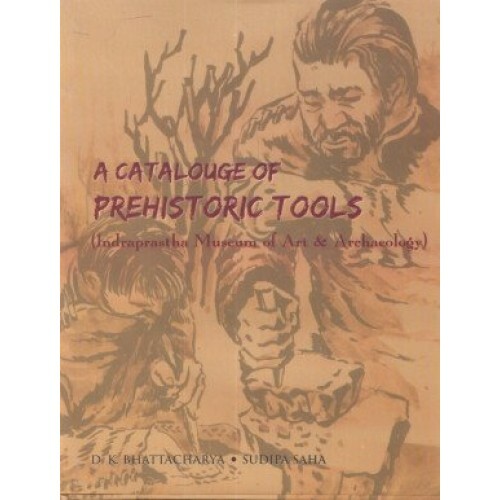 This monograph 'A Catalogue of Prehistoric Tools' is a unique presentation of a rare and important collection donated by Late Dr. A.P. Khatri to the Indraprastha Museum of Art and Archaeology, New Delhi. The entire collection comprises of thousands of prehistoric tools from different parts of the world including rich river (Narmada, Godavari etc.) valley collection from India. A selection of the representative types has been made from most of the sites distributed in four continents of the world namely, Europe, Africa, Asia and America. These tools are included in the catalogue and elaborately described with good line drawings. In some cases notes are also given to place the collection in their proper context. Appendices with relevant information and maps are to highlight the text. Colour photographs of all these tools are illustrates in the plates at the end. An inroduction `A Brief Survey of World Prehistory' has been provided as back background study. The catalogue will enormously benefit the scholars, researchers and students. The catalogue will enormously benefit the scholars, researchers and students of Prehistoric archaeology.Printed Pages: 143.